Ever since he was little, Soma Yukihira’s main goals have been to beat his father in a cooking contest and take over the family diner. That’s why, when his dad suddenly announces that he’s shutting the restaurant down and sending Soma to cooking school, Soma is shocked. However, Tohtsuki Academy is no ordinary cooking school. This elite institution is filled with culinary giants like Erina “God Tongue” Nakiri, who does her best to keep a lowly short-order like Soma from even making it inside the door. 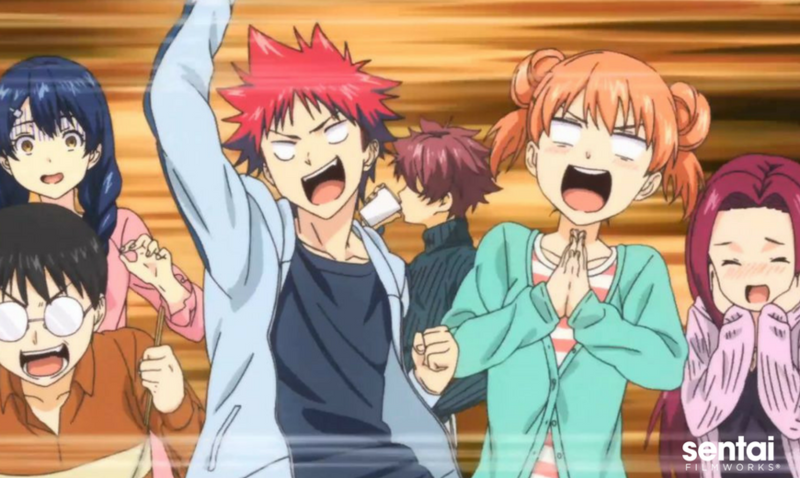 However, if the snobs can dish it out, Soma can serve it up, and when he learns that only a handful of the students manage to graduate every year, he swears that the only way he’ll leave is as number one in FOOD WARS!